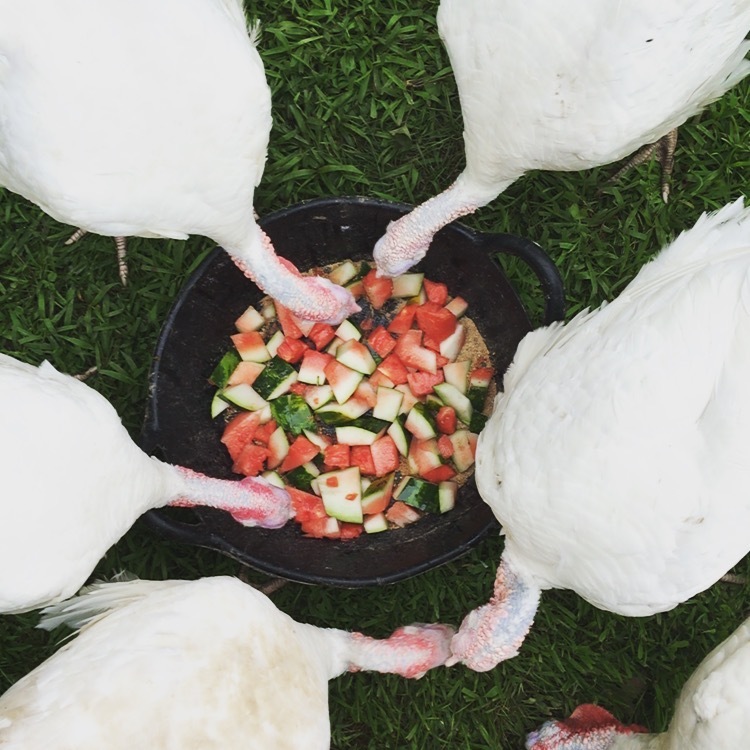 In 2013, Gabrielle Stubbert and Peter Nussbaum decided that they wanted to share their forty-acre farm with rescued farmed animals. 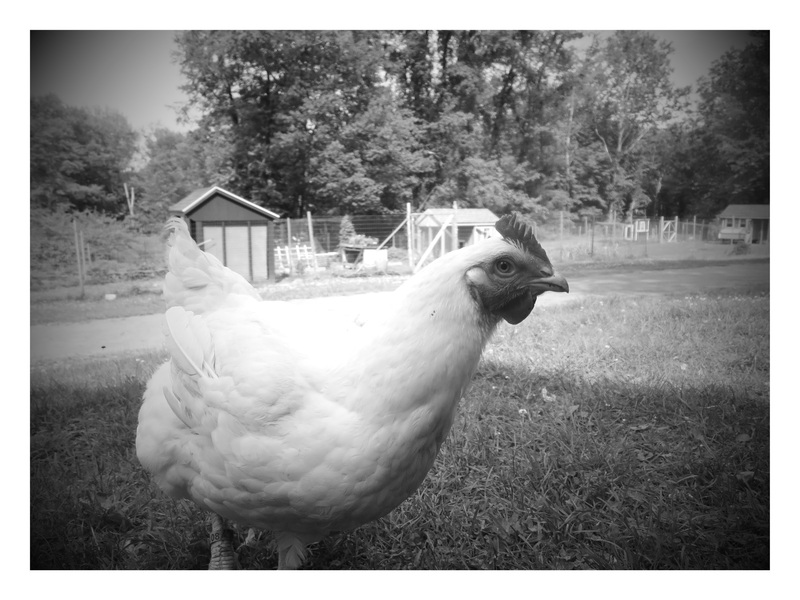 They started by adopting two roosters, Yuri and Jupiter, from Woodstock Farm Animal Sanctuary and soon began rescuing more animals and ultimately founding Tamerlaine Farm Animal Sanctuary in 2014. 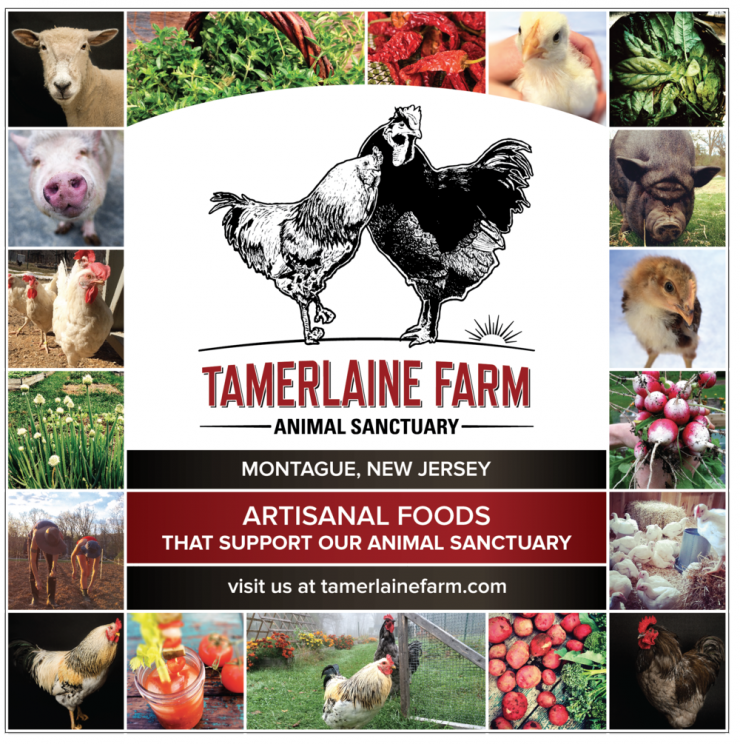 Today, Tamerlaine is home to more than eighty chickens, two pigs, six turkeys and they are in the process of building two barns and clearing space for even more animals. You can read more about their story here, and their mission and values statement here. I will spend the year volunteering as much as I possibly can at Tamerlaine Farm. Unfortunately, I can’t be away from Brooklyn for huge stretches of time, but I am aiming to spend at least one weekend a month at the farm as well as all of my extended breaks from teaching in the city. I’m in the process of pursuing artist grants and a subscription service for those who would like to financially support this project so that I can spend less time teaching and more time volunteering and writing at the farm. More on that as it develops. 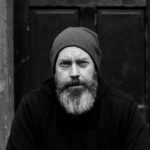 The main goal of this project is to write a full length multi-media solo theater piece dealing with the relationship between humans and animals, and the relationships that develop between me and the particular animals at Tamerlaine. Like my work with Tentative Armor, I will use electronic and acoustic music, storytelling, video and live performance for the piece and it will be performed at New York City experimental theater landmark, Dixon Place in late October 2016. I am really excited to be working with Dixon Place again and my show will have a prime Thursday, Friday, Saturday spot on their calendar. Last fall, I took a trip to Woodstock Farm Animal Sanctuary (WFAS) with Michael Suchman, Ethan Ciment (AKA The Vegan Mos), and David Cabrera for their annual Thanksliving event. I had just released the Tentative Armor book and album, so my mind was open to new ideas. As we all chatted about our individual journeys into veganism, I began to realize that my next body of work needed to deal with animals, and an animal sanctuary would be the perfect place to interact with animals with whom I had previously only interacted via fork and knife. With his experience as President of the WFAS Board of Directors and co-founder of Alexander Grey and Associates art gallery, David Cabrera seemed a perfect person to help me formulate what an artist residency would look like at an animal sanctuary. We began to meet and draft a proposal. Soon after that, I joined the Strong Hearts Vegan Power running team and met Tamerlaine co-founder Peter Nussbaum, who is also a member of the team. I dropped a couple hints about my idea to him, and then to Gabrielle Stubbert on a separate occasion. They both seemed to like the idea so I formally proposed it to them, made a weekend visit to the farm where we totally clicked, and just like that the project was underway. I really like what they have going at the farm, and because it’s a smaller place, I feel like I can really be a part of what’s happening there and can be put to good use. I am so excited to see what this year brings. My most recent visit to Tamerlaine was the first in which I really worked on the farm and learned specifics about caring for the animals. I already have tons of ideas about where this writing might take me, but that’s an entirely different blog post (or two.) I look forward to sharing this process with you, and of course the show itself. I’ll be writing here on my blog about my experiences as well as discussing the project on my podcast and YouTube channel. Okay, really: as usual I’ll be posting regular updates on all of the places social media has to offer. Follow me everywhere – you can find the links on the left hand side bar of this site. Thanks, as always, for supporting my work. I’m thrilled for this next chapter of my work! As an expatriate Brooklynite and devout Vegan and a McDougall student I salute you Michael Harren???? …and I salute right back to you! Pingback: Drip! | Michael Harren | pianist. composer. performer.